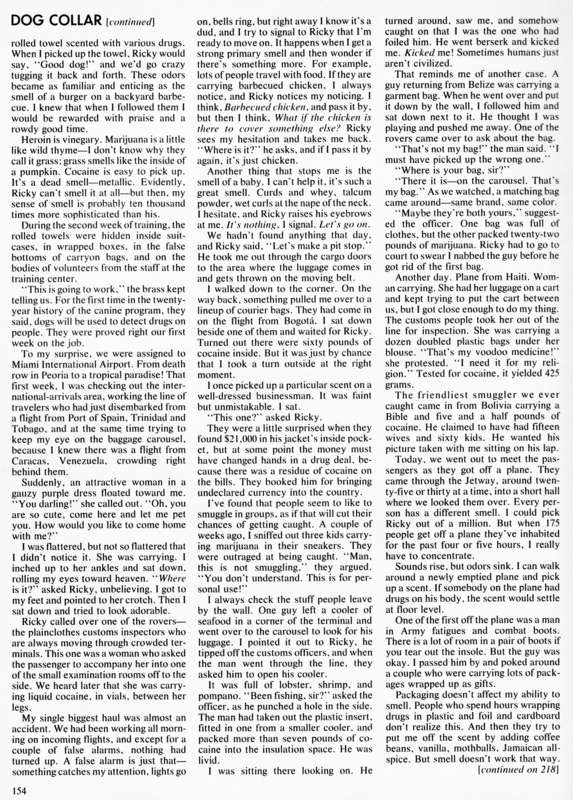 When I was told that Helen Gurley Brown, long-time editor at Cosmopolitan, wanted me to spend a working day at Miami International Airport trailing around behind their star drug-sniffer, an adorable cocker spaniel named Corky, and write a story in his voice and from his point of view, I thought it was a wacky idea and almost turned it down, but then I realized the Millie the White House dog had just had a memoir hit the best-seller list. HGB knew what she was doing! 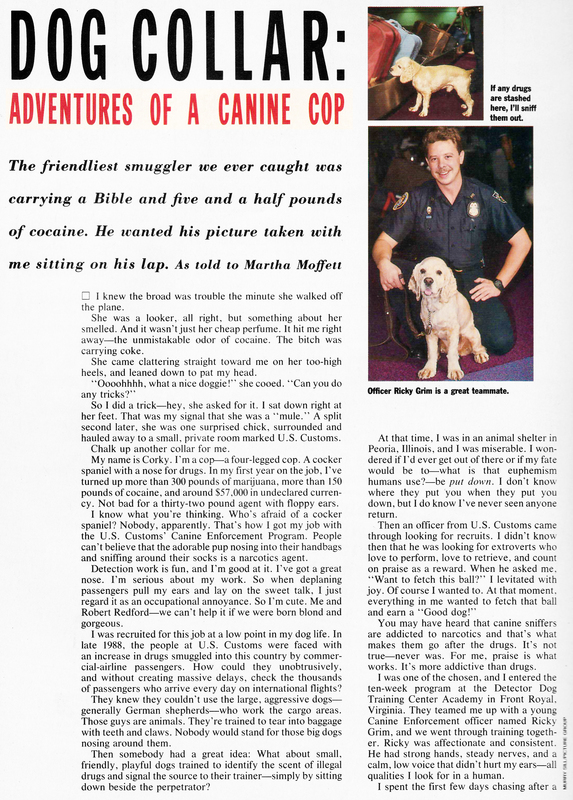 I loved writing the story, and the staff at Cosmo loved it; it ran in the November 1990 issue. They’ve given me permission to share it here. Control + to enlarge type for easy reading.